Be Croc Wise and adorn your wine glass with this beautiful crocodile wine glass charm. This way you'll be sure no one accidentally picks up your wine. 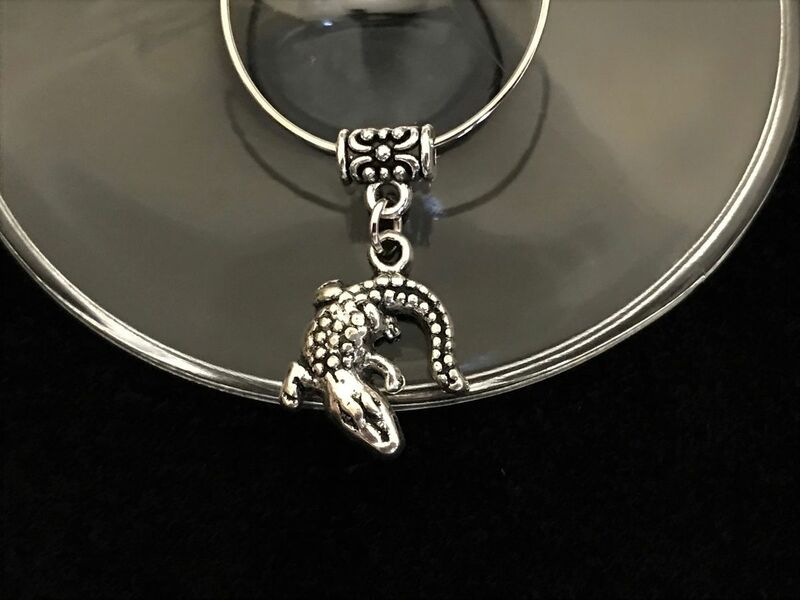 The crocodile charm is 13 mm L x 3 mm W x 16mm H. This crocodile is and made into this beautiful wine glass charm here in Australia. The Land Down Under – Australia has 2 species of crocodile – the Johnston Crocodile (freshwater crocodile) and the Estuarine Crocodile (saltwater crocodile). Crocodiles are found across the northern regions of Australia from Western Australia, through the Northern Territory and Queensland. The Freshwater Crocs are found in fresh water rivers and creeks while the Estuarine Crocs are found in freshwater areas as well as tidal rivers and in the open ocean. Remember, when you’re in croc territory – always be Croc Wise.